Work for Datto ALTO 3? "Great product, wish they had a larger storage option"
The Alto is priced very competitively and is great for our smaller customers. The product itself is very good. Unfortunately it's not a fit for a customer that has a lot of storage due to the 2TB unit size limit. Great product and company. We really have trust in their solution. Data backup, business continuity, offsite data repository. The device just works with minimal ongoing management. Love the Datto products. "Great backup for Single server/workstation environment"
The ease of setting up the device on the network and the remote access capabilities. The devices sometimes have issues sending the backup command and there are a few times that only support can fix the issue. There is a time investment to learn using the Alto 3. Also there will be time spent in fixing issues when the backups don't run. this helps all businesses with their disaster recovery scenarios. What Business Continuity Management solution do you use? It's a one device, all in one solution. Easy to implement, manage and also easy to sell. We use it for 1 server backups only. It's not scalable to many servers easily, you most likely need 1 device per server. Also if that 1 device fails, you're done. Learning about Datto ALTO 3? * We monitor all Datto ALTO 3 reviews to prevent fraudulent reviews and keep review quality high. We do not post reviews by company employees or direct competitors. Validated reviews require the user to submit a screenshot of the product containing their user ID, in order to verify a user is an actual user of the product. Hi there! 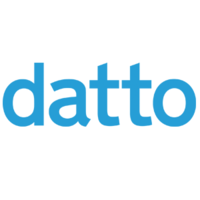 Are you looking to implement a solution like Datto Alto?